H.E. 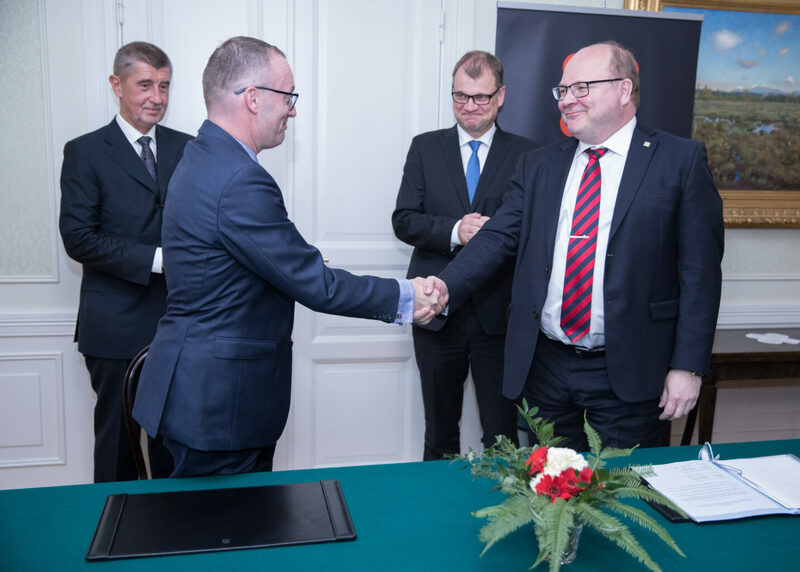 Mr. Ivan Jukl, Czech Ambassador to Finland, this afternoon signed the Memorandum of Understanding and Czech Republic became the 16th member state in the European Centre of Excellence for Countering Hybrid Threats. “We warmly welcome Czech Republic as part of our network. It is great to get their expertise in use when discussing how to counter hybrid threats”, said Matti Saarelainen, Director of Hybrid CoE. “Through our membership in Hybrid CoE, besides the best practice exchange and common research, we would like to express our support to the idea of closer cooperation between EU and NATO countries and institutions,” said Mr Jukl. The signing took place during the meeting of the Prime Minister of the Czech Republic, Andrej Babiš and the Finnish Prime Minister Juha Sipilä at Kesäranta, Prime Minister’s Official Residence. Other participants of the Centre are Denmark, Estonia, Finland, France, Germany, Italy, Latvia, Lithuania, the Netherlands, Norway, Poland, Spain, Sweden, Denmark, the UK and the USA.